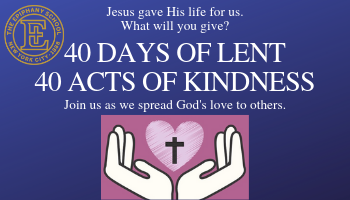 Rather than give something up during Lent, our students have been challenged to give to others. Join us! Click HERE for a family wall chart that’s easy to print and use at home.